Promoted to the Premiership this season, Stoke City were not widely feared way back in August. Even Arsenal’s meticulously thorough manager, Arsene Wenger, dismissed his team’s coming meeting with Stoke as “nothing to make a fuss about”. So when Arsenal left Stoke’s ground having been defeated 2-1, a sheepish Wenger joined the ranks of those who’ve been embarrassed by the man they are calling the 'Human Sling'. 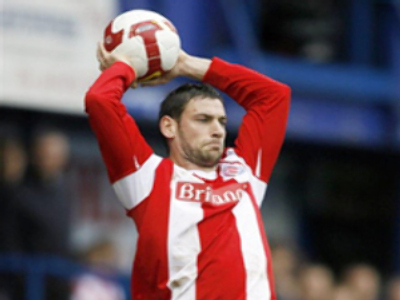 A whopping 54 per cent of Stoke City’s premiership goals this season have originated from the stretchy arms of Rory Delap, a 32-year-old Irishman. Crucially, all but one of the seven "Delap-assisted’ goals have been scored at Stoke’s Britannia Stadium, leading many to suggest that pitch size is an important factor. To take full advantage of the midfielder’s long throw-ins, Tony Pulis, Stoke City’s manager, had the pitch shrunk by a metre at the start of the season. It is now only 64 metres wide, the minimum allowed. The reason being that a narrower pitch makes it easier for Delap to reach the six-yard area around the goal. A narrower pitch also makes it more likely that opponents concede throw-ins as there is less width to play with. It comes as little surprise that Delap was a javelin thrower as a schoolboy. But he first became aware of his gigantic throw-in capacity on the football pitch when he was in the youth team at Carlisle. In a memorable game, one of his bullet throw-ins reached an unmarked centre forward, allowing his side to beat Liverpool 3-2. The Irishman has won 11 caps for his country. He joined Stoke City from Sunderland two years ago and strangely enough it has been here where the 32-year-old’s career has really taken off. His rise in prominence is probably due both to the slender pitch at Stoke and the collection of six-foot-plus, long-limbed strikers on the club’s books. Delap can take advantage of both with his daunting throw-ins. His new-found notoriety is also because Stoke have not only made their way into the Premier League but are beating teams like Arsenal and in doing so, creeping up to the middle of the table. 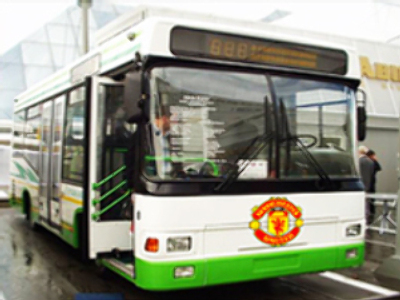 “Stoke train with cannons rescued from local medieval ruins….footballs are fired into the distance for Ricardo Fuller to run after”. Either way, his prominence has led to three other Premiership teams to make inquiries about Delap’s contract with Stoke. But given his current form, it seems unlikely that manager Tony Pulis will consider selling the Human Sling.